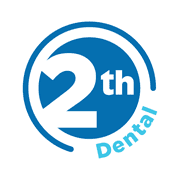 2TH Dental Practice has sponsored the Harborough Town Under 8 football team, ‘The Roosters’. Pictured is Sharon, 2TH Dental Practice manager with Adam Law, one of the coaches, and the new team shirt. The Roosters have been doing really well this season and we think the lads look really smart in their new kit.